According to a press release issued Monday, the department collected 5,627 toys, 6,968 lbs of food and $13,879.36 in cash and gift cards for the campaign. “The generosity of our residents was once again on full display during this year’s Paramedic Services Toy Drive,” Simcoe County warden George Cornell said in the release. Over the last 16 years, the toy drive has collected 78,459 toys, 31,404 lbs of food and approximately $158,905 in monetary and gift card donations for families across Simcoe County. 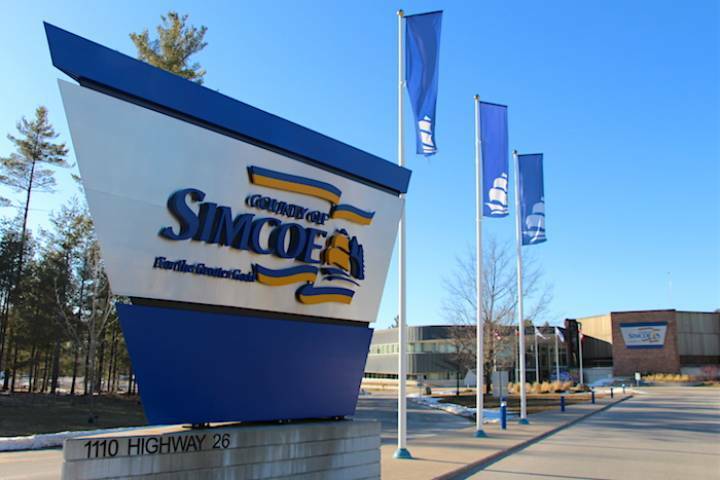 “Each year, I am amazed by our County of Simcoe Paramedics, their families and friends, and the students from the paramedic programs at Georgian College and CTS Canadian Career College, who have volunteered more than 1,000 hours towards this incredible program,” said County of Simcoe Paramedic Services director and chief Andrew Robert in the release. According to the county, all of the toy drive donations will be distributed to local children and families in need by charitable organizations working in with Simcoe County Paramedics Services. Charities supported by the drive include the Collingwood Salvation Army, Wasaga Beach Kinettes, Simcoe Muskoka Family Connexions, Barrie Christmas Cheer, Innisfil Community Church and various local food banks.